Simple cable design that uses four 16 gauge wires which result in an equivalent 10 AWG cable. The wires are twisted together in opposite directions which helps keep inductance of the overall speaker cable to a minimum. 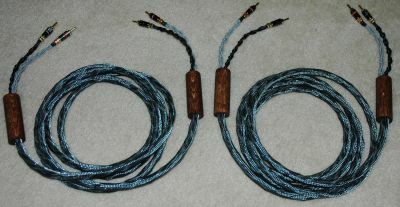 See the Low-Inductance DIY Speaker Cable project page for full details.